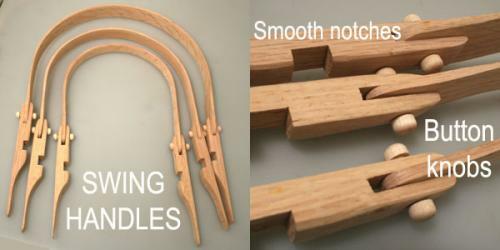 3 sizes of oak swing handles. 6", 8" and 10" spread. Click to view beautiful knob details. 3 sizes of oak swing handles. 6", 8" and 10" spread. Sanded smooth with beautiful oak knob details on hinges.